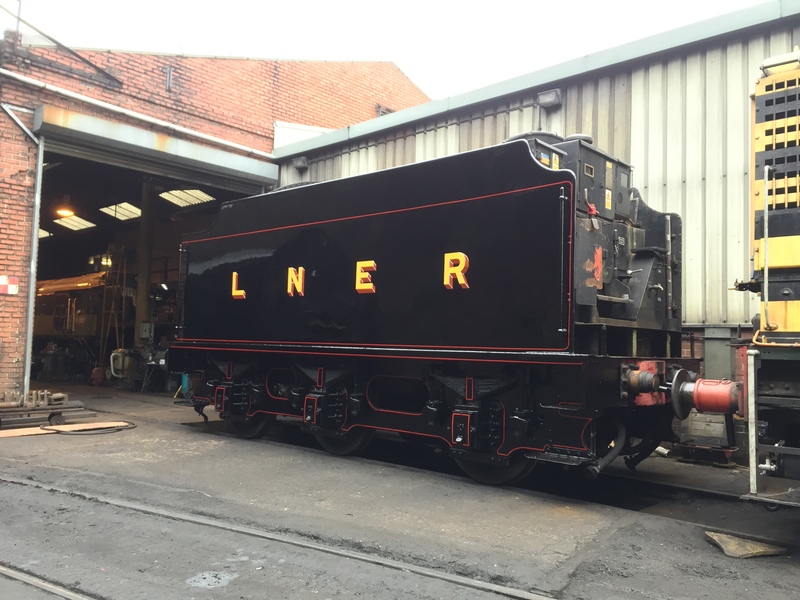 Unfortunately due to overrunning winter maintenance, the loco is not yet finished and we will not be able to make the loco fit for its move to SVR with Tornado on Tuesday. The Thompson B1 Trust is excited to show you all 1264 in its new livery. 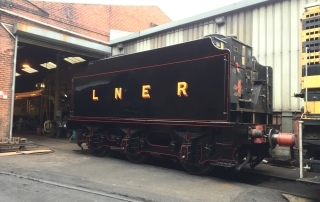 TBLT would like to thank John Furness and the many volunteers at the NYMR who helped pull off this mammoth task. 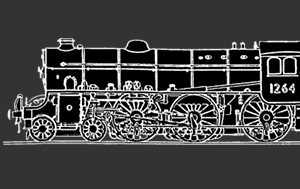 See below for a sneak preview of the work being carried out by John Furness on the tender of 1264.